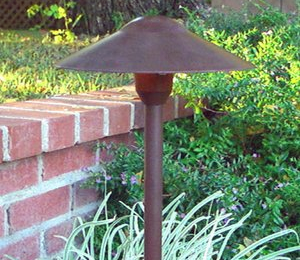 Low voltage landscape lighting transformers, by Best Pro Lighting, may be used with all of our low voltage landscape lighting fixtures. All of our transformers are made with heavy duty stainless steel. They are multi-tap 12, 13,14, and 15 with photo cells & timers, are loadable at 100% and built with toroidal core. Our transformers will automatically return to the last setting after a power outage. 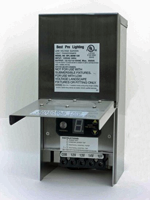 Best Pro Lighting offers a lifetime warranty on all of our low voltage transformers.